The new government is on a techno-heavy mission to create modern cities. Does it have the vision it takes? The following article is an extract from State of India's Environment Report 2015, India's most credible annual statement on environment and development, published in January 2015. Indian cities are in a rut. Urban population explosion, needs of modern comfort and aspirational pressure have turned them into unmanageable monsters. Cities were never on the priority of the government’s development agenda because policies were governed by the dictum that “India lives in its villages”. It is in this context that the National Democratic Alliance government’s grandiose “100 smart cities” project holds significance. Finance minister Arun Jaitley allotted a little over a billion dollars to seed the “100 smart cities” project in his maiden budget in 2014. He told Parliament that smart cities are needed to accommodate the rising numbers, pointing to a rapidly expanding middle class with “aspirations of better living standards”. It is another matter that the ministry is likely to surrender almost 90 per cent of the alloted money this fiscal because it could not spend it. Jaitley essentially picks up from the previous government’s urban renewal mission which invested $20 billion in 65 select cities during 2005-14. As things stand, the urbanisation agenda has been expanded and, in three parts, covers urban renewal of 500 cities, rejuvenation of heritage cities (like Varanasi) and the implementation of 100 smart cities (understood to be both “greenfield” and “brownfield” development). The urban development ministry is yet to announce a definition of and guidelines for Indian smart cities. Shankar Aggarwal, urban development secretary, says smart cities will roughly encompass “e-governance, 24x7 supply of utility services like water and power, universal broadband connectivity, and super-fast public transport”. Smart cities technology is a global market, estimated to be worth $1.7 trillion, and India has just opened the floodgates for this. But before India brings in smart technology, it should know what to do with it. How does it build new cities and repair groaning urban settlements to provide decent housing and clean water to all? How does it manage the growing mountains of garbage, treat sewage and do something as basic as breathing without inhaling toxins? Can technology alone fix what institutionalised governance, planning and engineering have destroyed over decades? The answer is complicated. Yes, technology is needed. A centralised data system might help city authorities analyse and predict possible infrastructure failures like power outage or flooding. But do cities have the capacity to prepare effective mitigation plans that will work in their local context? Will they have real resources like engineers, fire fighters, public health facilities and staff to execute and implement their plans? Do cities have the required political and financial autonomy? Who will they prioritise—vocal residents of posh colonies or humble sufferers of middle-class localities? Our experience with the Jawaharlal Nehru National Urban Renewal Mission (JNNURM) has not been very encouraging. Cities made mobility plans using data generated by smart technologies and highlighted the need for pedestrian-centric infrastructure. But when it came to seeking investments, all made an un-smart pitch for developing infrastructure that impedes pedestrians. The government’s agenda and most so-called smart city projects currently under way in India are some sort of abbreviation of UAE’s Masdar City, which is the first smart city of the world, initially slated to be completed by 2015. But Masdar is turning out to be too expensive even for the oil-rich nation, with the project deadline extended to 2025 and many smart features being dropped to cut cost. Masdar’s $22 billion cost to house 50,000 people is a ridiculous development model for India which needs to fix habitat for its existing 377 million city dwellers and prepare for another 300 million likely to be added in the next 20 years. Even if the financing is worked out by a private-public partnership model, smart cities in India are not going to be cities at all, but commercial, residential or industrial enclaves, feeding upon adjacent cities. They can at best be described as the culmination of the elitist and exclusionary gated community concept, which is reducing the world further into refined, high-end enclaves surrounded by vast slums, where e-governance and broadband connectivity are of little immediate relevance. 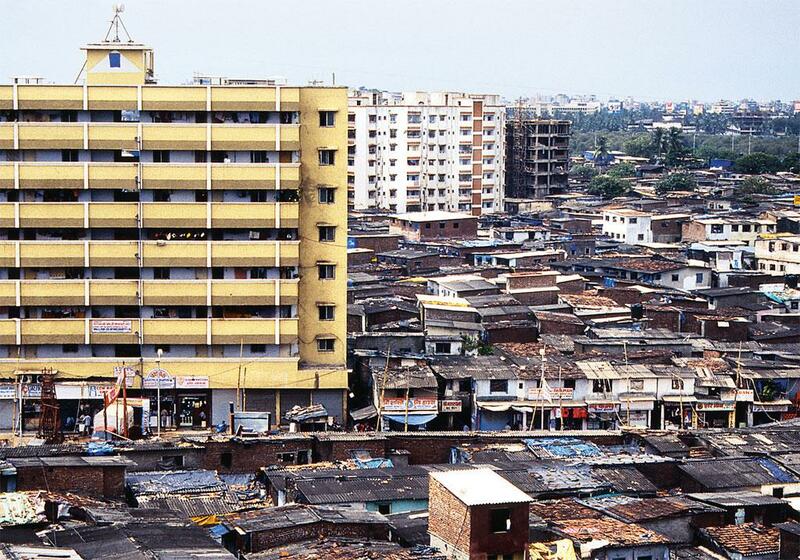 A country like India, which is still just one-third urbanised and where half the population of its two biggest cities officially lives in slums or illegal settlements, cannot prioritise exclusionary urbanisation. The country needs to reinvent the very idea of urban growth. Indian cities have been failed by their planners, engineers and governments and their collective desire to copy London, Tokyo or Masdar. Today, smart thinking will require finding a new measure of liveability that will work for the Indian situation, where the cost of growth is unaffordable for most. We need smart jugad (creativity) where technology meets street-smart Indian and builds upon highly compact, mixed-use and pedestrian-friendly designs of our traditional cities. For example, we know our cities do not have underground sewerage to speak of and have been using septic tanks or open drains for sewage management. So can we get technology to treat sewage in these septic tanks and channels instead of getting a technology to drill expensive sewerage lines? The 100 smart cities emerging on India’s urban horizon attempt to converge the latest technological developments of the 21st century to create controlled and efficiently administered environments. These would represent the best of urban practices as we know them today. Compactness, eco-friendly gestures and intelligently run administrations are some of their hallmarks. There is little reason to believe that the utopian move by the present government is dramatically different from previous ambitions of a similar kind. After all, statecraft has always involved creating new cities. It allows for a symbolic resurgence of administrative ideals, which is then used to communicate its virtues to the kingdom at large. It allows for postponement of state performance and blames the past for all that is presently wrong. On the bright side, new urban ambitions can genuinely help us avoid past bad habits and start afresh. It is not helpful to be cynical beyond a point. Since urbanology has consistently striven to work from the other end of the master-planning process, we are not as well-equipped to be innovative about smart cities as our colleagues who are architects and planners. They are more attuned to start afresh from tabula rasa. We already see a lot of smartness in urban spaces, which can contribute to smarter cities. When a neighbourhood is economically productive, has creative space-saving arrangements which combine living and working activities, when it creates collective infrastructure on its own and uses inhouse skills for construction activities, then surely it can be considered fairly intelligent. And resourceful. 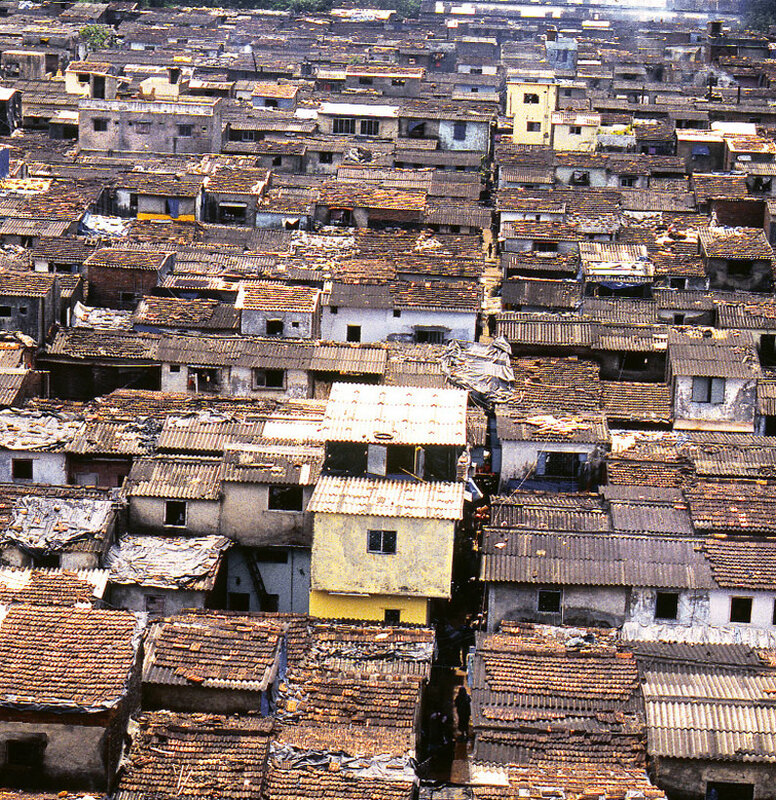 Mumbai is full of such neighbourhoods, with the most celebrated one being Dharavi. Unfortunately, many such neighbourhoods are not seen to be valid, let alone smart or intelligent. Since they emerge outside the planned city, with developed real estate where people hold only occupancy rights, they are shabbily treated by the administration. Consequently, they see a decline in civic infrastructure and the dynamic and intelligent arrangements they embody are never acknowledged. The city they are attached to depends on them for cheap labour and services without giving back much in return. Sometimes the creation of a new city is predicated on the efforts, services and hard work of people living in these unacknowledged spaces. Our fear is that the 100 smart cities slated to be created in the coming years may be surrounded by as many smarter neighbourhoods which will continue to be treated as illegitimate, inconvenient, shadowy, but necessary. Can we create programmes that do away with these double standards? Can the emerging urban horizon learn from existing intelligent neighbourhoods and incorporate them inside their own mechanisms? With a little bit of programming it will be possible to do precisely that. We just need a bit of confidence to validate the smartness already embodied in them. Using local skills and resources for their physical creation, validating occupancy rights, reducing the gap between living and working activities are examples of simple codes that can be written into their programme to generate a thousand more such cities—but at a fraction of a cost! No one in his right mind can object to the concept of smart cities, where infotech and related technologies come to the aid of urban services. Thus cities which have digitised their land records have certainly made life easier for the urban poor. Now, companies like Cisco and IBM and our own Tata Consultancy Services and L&T are getting into the fray on a much bigger scale. However, the introduction of IT in such services presupposes certain factors. It assumes that all citizens have access to the Internet—or can even hire such services for a nominal fee, as happens with online applications for passports. When six out of 10 Mumbaikars, who are better off than most of their fellow urban residents, live in slums, such assumptions prove untenable. Imagine, then, the plight of those who will live in the planned smart cities envisaged in the path of the 1,500 km Delhi-Mumbai industrial corridor, the brainchild of the UPA government, launched in 2007 but being pushed with a vengeance by the National Democratic Alliance government. Nearly 80 per cent of the urban development that will spring up on either side of the freight corridor is in Rajasthan and Gujarat. 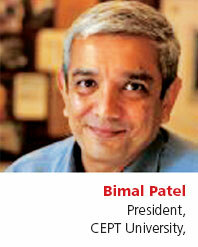 In neither state can the rural population be considered ready to join the ranks of the IT-enabled. On the contrary, this huge swathe in the north-west of the country, witnessing one of the biggest urbanisations the world has ever seen in terms of population, might only heighten the disparity between urban and rural if skilled people migrate there from other cities, leaving locals high and dry. At the Urban Age meeting in Delhi in November, where global experts debated how urban governance could be improved, the last session was provocatively titled “Can cities get smarter?”Harsh Mander cited how the urban poor often prefer to sleep on traffic intersections, at great danger to their lives, because the traffic fumes ward off the mosquitoes. He made a simple suggestion: all schools, which lie unused for 18 hours a day, could be turned into dormitories at night for street children, of whom he estimated there were 50,000 in the capital. Another instance of true smartness would be the provision of water and toilets throughout a city, which would make a tremendous difference to people’s health. These services, along with bathing facilities, could bear a nominal charge, and rid our cities of the scourge of open defecation. Yet another would be the restrictions on cars and the promotion of public transport. In Mumbai, with the active connivance of Union environment minister Prakash Javadekar, the Bharatiya Janata Party is following in the footsteps of the Congress in building a coastal road, the extension of the Bandra-Worli Sea Link northwards. No matter that this link is used by some 30,000 less cars than was envisaged when it was completed six years ago. A smart city administrator in Mumbai would know that only seven per cent of commuters using motorised transport drive a car, but the entire expenditure is on extending facilities for motorists, who are a tiny minority, subsidised by the majority. Cars are parked on the roads haphazardly in a city where real estate values can reach `1 lakh a sq ft (1 feet equals 0.31 m) and they occupy such valuable space. Smartness would mean, as activists in the city advocate, that no major transport project should be contemplated unless at least half the users take buses or trains. Any takers? Promoting smart cities must be considered in the background of three types of global experiences (especially in the Global South) that time and again have been singularly disastrous. First, promoting new towns and cities as growth centres to decongest city centres has never worked beyond yielding initial political mileage. Instead these have resulted in massive economic and social costs. Simply put, this only justifies allocating scarce public funds into creating exclusive, gated economic zones in urban periphery equipped with high-grade infrastructure subsidised by tax breaks. Secondly, urban renewal of city centres, has been elitist and destructive to existing economic and social systems. This dubious idea, pushed by powerful lobbies to increase the floor area ratio (FAR/FSI), promotes high rise-high density buildings through associated instruments such as transfer of development rights. It transfers valuable economic space and public infrastructure, socially created by an economy dominated by small trade and manufacture, to the elite, who are otherwise unable to locate more centrally. Urban renewal almost always destroys this economy that provides almost all of employment and economic value addition. Arguments for additional FSI-centred, high rise-high density areas are erroneous on at least three grounds. One, it assumes a single economic core, when Indian cities and many elsewhere are multinodal. Two, it is premised on a singular big business-dominated economy as a growth driver, when our cities have a well-diversified economy, adding both jobs and economic value. Three, transfer of development rights is premised on large plot sizes housing large corporate firms, in complete contrast to ground realities. These points, especially the last one, underline the intents of a dangerous social engineering. The third experience is that despite well-intentioned efforts of activists and academics towards proper rehabilitation and resettlement via housing, displaced groups never regain what earlier worked for them as social, economic and, most important, political space. Emphasising marginality of those displaced only strengthens those who lobby for such displacement. Witness the veritable industry of NGOs built on the agenda of such displacement and urban renewal and increasingly to manage the political backlash. Several other aspects of the current ways of promoting smart cities make them even more dangerous from the environmental perspective. Take embodied energy related to both the central city areas sought to be destroyed and the new ones proposed to be built using high-tech material in urban periphery. It is not clear if extensive reuse of material and recycling technologies can substantially soften the blow, when currently most waste material ends up as some form of landfill, affecting productive agricultural land. Disturbing our existing mixed-land-use city centres, which are vital economic nodes of low risehigh density buildings, will disperse populations into a wide area, resulting in massive traffic jams, spikes in fuel costs and pollution, as these people travel to central areas. As influential lobby groups, they will demand expensive expressways, which, in effect, will give rise to even bigger traffic jams. In such a scenario, real economic efficiency plummets, while posing environmental crises. Smart technology can never be assumed to be socially neutral. It has to be posed in the intensely political questions of: who benefits, who decides, and on whose behalf? It has to relate to an existing economy and conserve what already works. Witness the difficulties in creating new jobs. We see that special economic zones are hardly contributing to employment and employment schemes have serious problems, if they already are not a spectacular failure. A social-economic technology has to be “spatialised”. For instance, there are significant opportunities in the existing low-rise, high-density areas. It is important that the “smart” technology is conceived to be incrementally developed and in pluralistic ways to respond to the people affected by them, and complex city systems. 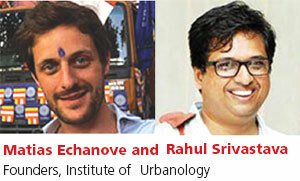 Today, as a consequence of rapid growth, Indian cities are in a mess. They are overcrowded, polluted and their meager infrastructure is highly stressed. Roads are congested and traffic seems unmanageable. Social services and amenities are nonexistent in most towns and local governments seem unable to cope. We seem to be descending into a downward spiral of urban ills, stagnating urban productivity and underdevelopment. Will we ever be able to make our cities efficient, livable and sustainable? Will we ever be able to make them abodes of happy and flourishing lives? When asking such despondent questions, it serves well to remember that when the West first urbanised, its cities also fell apart. Nineteenth century London and Paris were also unmanageable messes—overcrowded, polluted, unhygienic, filthy and congested. Slowly, over a century, Western nations were able to transform this situation. Starting from small beginnings, they were able to provide more and more people in cities with better infrastructure, transport, housing, schooling, health facilities and recreation. By doing this they were able to pull off the trick of simultaneously making city lives more comfortable, healthier and happier, and, making cities more productive. How were Western nations able to transform their cities? Why did Western cities not get mired in a vicious downward spiral of unsustainable urbanisation and economic stagnation? These are difficult questions to answer. However, one thing is certain: an array of specialised new professions, such as city planning, urban design, public health, environmental engineering, city management and transportation planning, had to be invented and put in charge to manage the transition. Inventing new professions meant demarcating and establishing new domains of knowledge pertaining to cities, undertaking research to find solutions to urban problems, establishing professional institutions to create and manage new professional identities and, most important of all, training professionals to go out there and tackle real and urgent problems. Training professionals requires equipping students with specialised knowledge and development of their intellectual, technical, communication and collaborative skills. This is well understood and accepted. However, it is often forgotten that professionals are truly effective only when they are profoundly motivated by a sense of purpose that reaches beyond themselves and when they are able to bring their ethical sense to bear on their work. Successful management of India’s urban transformation depends crucially on our ability to train professionals who are driven by a deep desire to use their knowledge to improve human wellbeing and who are able to use their ethical compasses to guide themselves. How does one accomplish this? 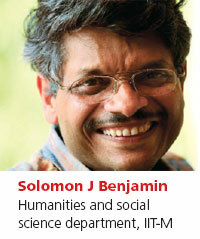 How can one impart an ethical education? Is it at all possible to train students’ ethical faculties and to instil in them a sense of social purpose? Of course it is. Many institutions manage this effectively and, if one were to carefully examine what they do, the answer is not very complicated. Successful institutions clearly understand that no amount of lecturing and exhorting students to behave ethically is ever effective. The only way of imparting an ethical education is to immerse students in an institutional culture that allows them to exercise their ethical faculties; an institutional culture where ethical issues are not presented as settled norms merely to be followed but presented as dilemmas to be debated and discussed; an institutional culture that encourages students to think their own stands through; an institutional culture that respects them regardless of the answers they come up with; an institutional culture that provides them with role models of teachers themselves grappling with ethical dilemmas. The only way of imparting a deep and abiding sense of purpose in students is to provide opportunities for students to make a difference. It is only those who have experienced the satisfaction of seeing how their own efforts can bring about change and improve the lives of less fortunate people, who, when they grow up, will have the confidence and sense of purpose to try and change the world. Institutions that hope to impart a sense of purpose have to ensure that students have opportunities to question, challenge and change the very institution that is meant to shape them. Thanks for pointing out, Roma, This article is actually an extract from State of India's Environment Report 2015 published in January 2015. It was written well before the latest developments. We have now added a note at the beginning of the article to help our readers place it in context. 100 Urban smart cities investing 3 lakh crores -- We have acts/laws on urban domestic waste management and urban seewage on one side local government's management water and power in urban areas. Officials who are looking after these issues, rarely look in the people's interest point of view but they look at them as the source of illegal income. Though there are scientific land fillings for hazardous industrial waste, no such land fills were established to date in the case of domestic waste. Thake the case of domestic waste in Hyderabad -- it generates around 6,000 tons per day. When I was a member APPCB CFE committee we cleared projects to convert waste in to power. Later government cleared the decks for scientific land filling and power production but the employees were against the move of power production as they divert disiel of 50% trips of garbage trucks to blackmarket. This along with blackmarketed kerosene from PDS around 30% enters to oil market as adulterated fuel and thus contributing major part of air pollution. Along with this, the 50% of the garbage is openly burnt allaround the city. This contributes to additional air pollution. We brought to the notice of government over years but with zero results. It is going on as usual. In the case of seewage, it is enting water bodies and groundwater. This is joined by industrial waste water -- partially treated and untreated. Under prevous government [UPA] schemes STPs were constructed but this is around 25% of the total seewage. Also, this is also not fully treated to save power. Alsofor arond 55% of the water supply, there are no payment received as it goes as filfirage and leakages. In the case of power it is around 30%. The burden is put on people by increasing the water and power tarrifs. Instead of controlling the employees, now under the diguise of 100 smart cities they wanted to distribute 3 lakhcrres to their party functionaries. "What we need is ‘smart villages'before'smart cities'. The approach for a vast country like ours should be ‘Bottomup' but not ‘Topdown'. There is something amiss in Indian canvas. The World Bank reviewed and proposed revisions in May 2014, to its poverty calculation methodology and purchasing power parity basis for measuring poverty worldwide, including India. According to this revised methodology, the world had 872.3 million people below the new poverty line, of which 179.6 million people lived in India. In other words, India with 17.5% of total world's population, had 20.6% share of world's poorest in 2011. It only proves that the rural people have not been brought into the mainstream of our national endeavour to contribute to the progress and share the fruits of our economic and industrial growth. It is true that a large number of these rural poor are illiterate, but not ill-informed however. These poor and illiterate people have learnt that a better life is not only possible for them but they have a right to better life. They cannot wait in line indefinitely for the better days to come. We have to plan and work in this direction so that better days for them could come sooner than expected. This is the imperative need of the nation and a challenge before all thinking Indians.